Kitchen sofas used to be very common in Swedish homes. This was were the maid slept and during the day it was used as a sofa by the kitchen table. These days few Swedes use the traditional sofas, they are often bulky and not comfortable either to sleep or sit in for longer periods. This led me to try to reinterpret it. 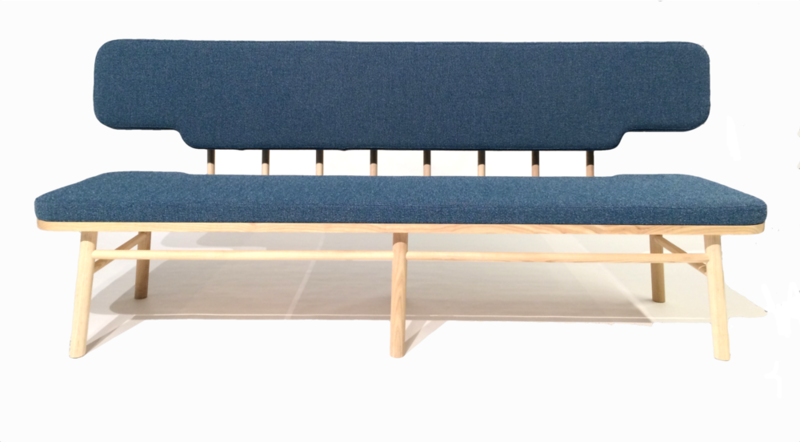 I have designed a comfortable sofa, visually and physically light. Easy to move around when rearranging for dinner parties and quickly changed into a spare bed for those guests who want to stay. Just unscrew the three support legs from under the seat, fit them to the backrest, lift the backrest up, and push it under the seat. It seats four adults, and when converted to a bed, it measures 80x195 cm. 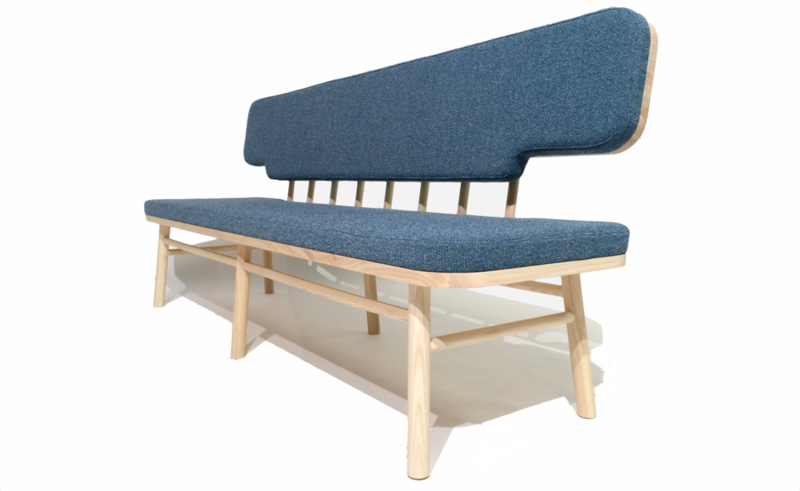 Made from ash, treated with white pigment oil and upholstered by Bogesunds Effect-fabric. Personal storage for wallet, keys, cellphone. Every member of the family gets its own shelf. 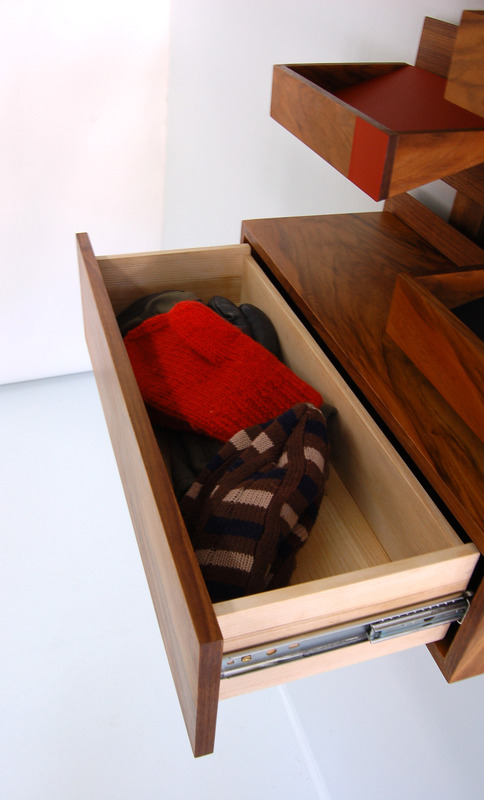 Drawer for gloves, hats, scarfs - add more units when needed. At the bottom, a well rounded bag holder that saves the shoulder straps. Deep enough for several bags. Walnut, veneer, laminated veneer and furniture linoleum. Finished with wax. Drawer made by ash. I tried to find out, through a survey, what kind of furniture people need the most. It was a global survey, spanning from Japan, through Europe to Mexico. My basic idea is that furniture should be manufactured where they are to be sold, with local materials and manufacturers. 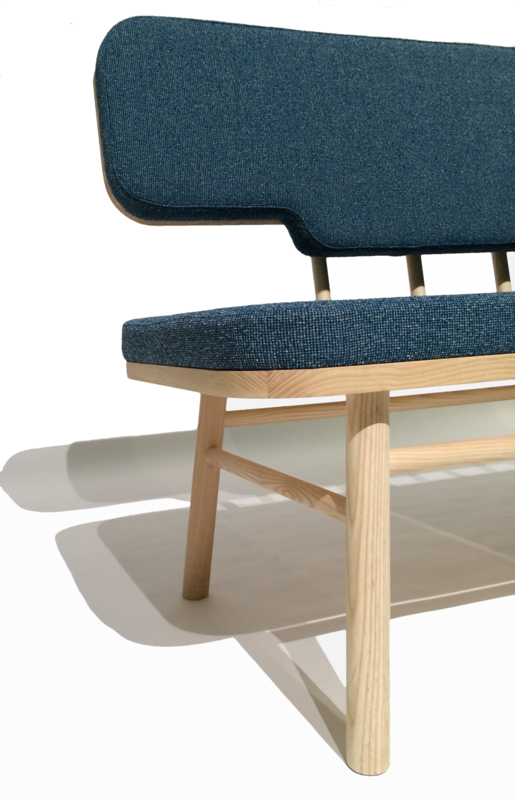 By doing that, there is a chance that the environmental impact will be smaller, designed furniture will be available for more, it will strengthen the cultural self esteem, the economy and raise the status of local materials. The type of furniture that everybody needs is storage furniture. I have designed a freestanding, modular storage system. 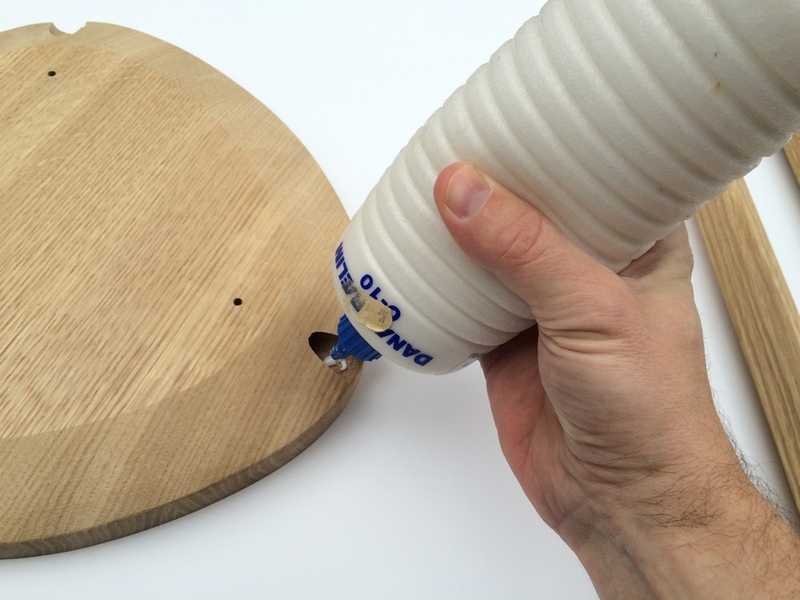 Its aim is to be flexible and easy to manufacture while offering new functionality. 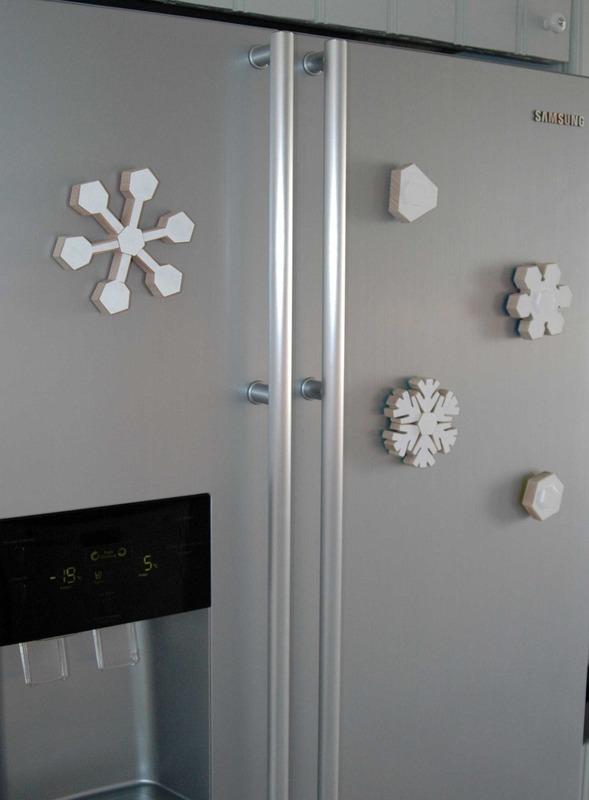 This one is made from Swedish pine and stone. With locally woven bark baskets for hidden storage. 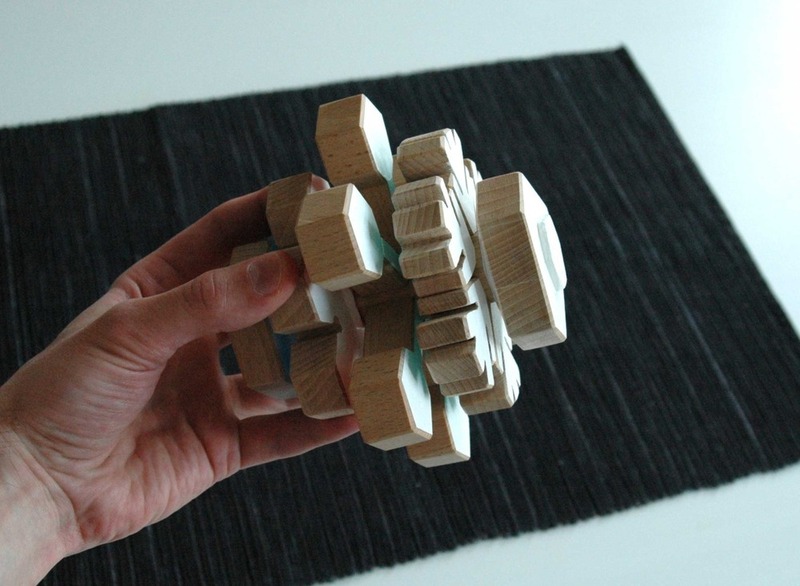 "The Sound of Forest" is a playful call to take these results seriously. Untreated swedish pine, steel, ivy, Kasthall Stubb & Moss. 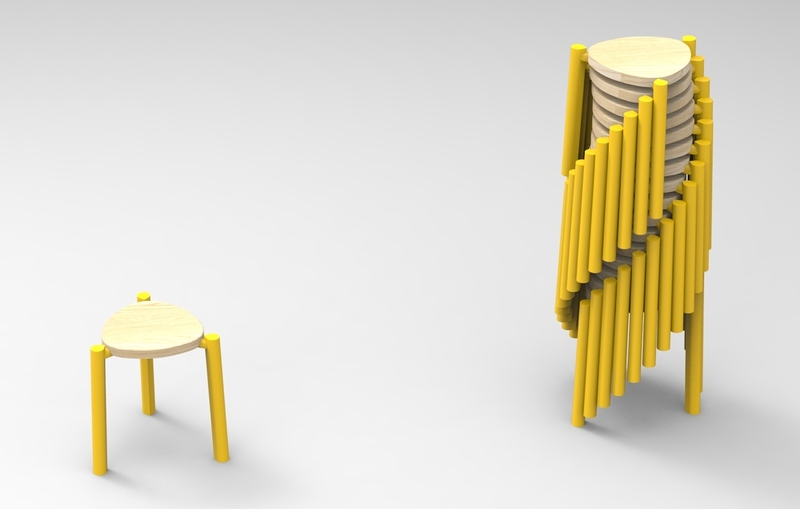 Stackable chair for public indoor use. Specifically churches, libraries, conference hotels etc. Influenced by the Swedish Grace-style where classicism meets functionalism. 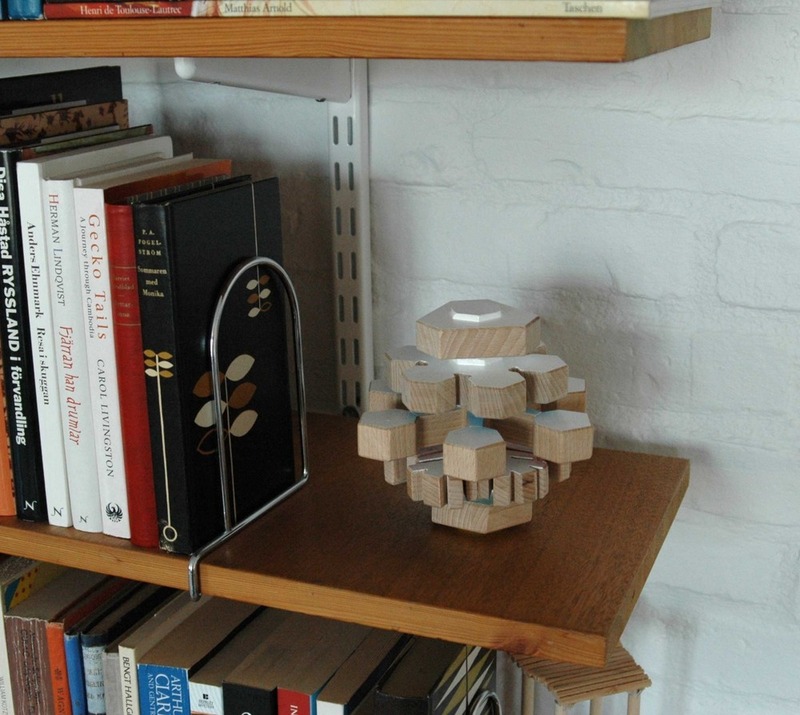 Visually and physically light, it only weighs 4,5 kg, easy to stack. Good comfort even after long use for many body types thanks to a tilt-able backrest and upholstered seat. Generous and inviting but at the same time compact. Visually calm, lets the surrounding architecture do the talking. Swedish birch with white pigment oil. 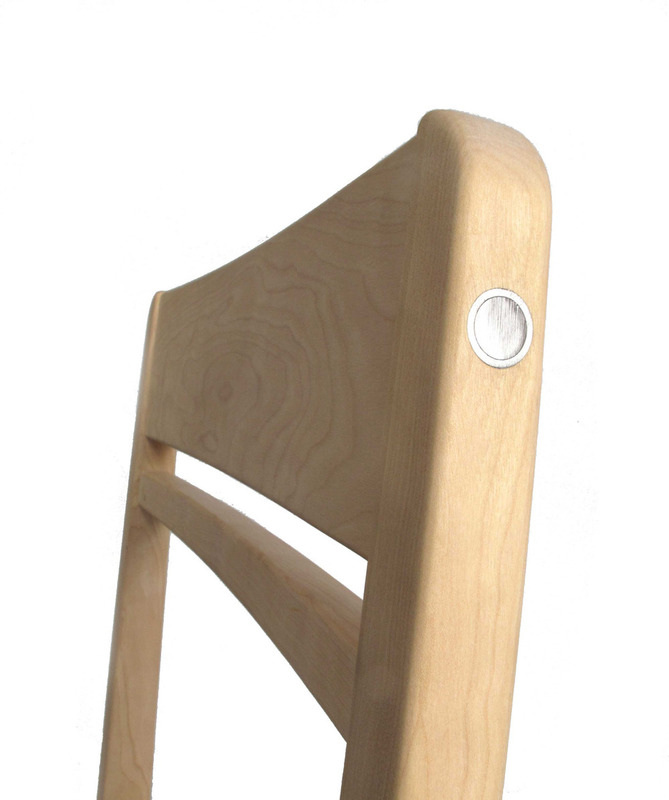 Chair based on principles of body conscious design. Inspired by Galen Cranz and Peter Opsvik. It’s time we started questioning how we sit. Should chairs continue to be mostly uncomfortable status symbols or should we start listening to our bodies? A new type of sitting, based on body conscious design is part of what it takes to deal with of the greatest health issues of your time, back pains. Could a chair be an attractive status symbol even if it’s good for the body? Must a chair where you can sit well be made out of plastic? 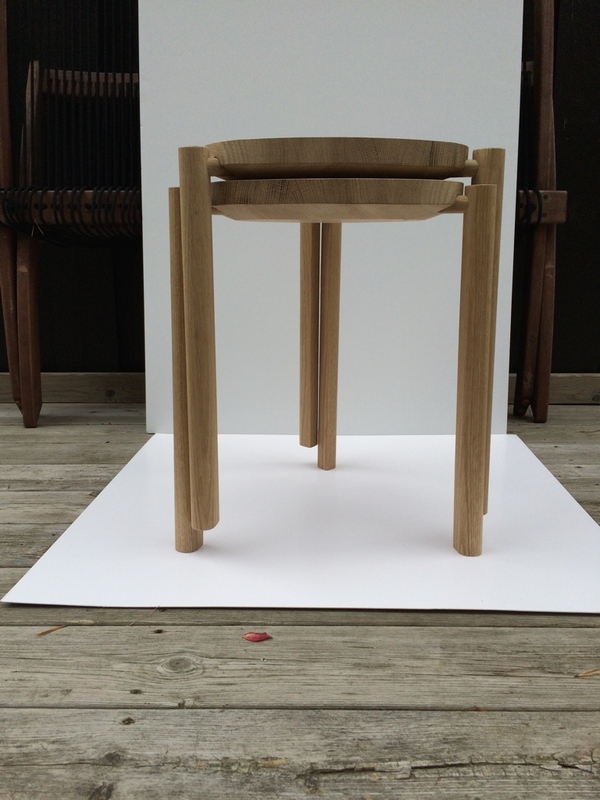 With swedish wood and wool and a healthy disrespect for the chairs standard measurements, I try to step towards a changed attitude. My first contribution: Foxy. Laminated and solid ash, wool, oil with white pigment. 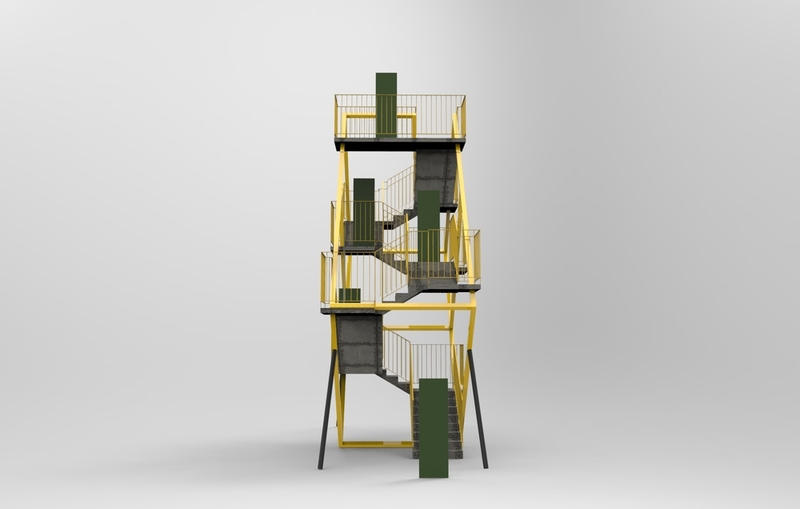 Creativity inspiring play unit / versatile storage, adaptable to the needs of the user. Play, paint, model / toys, books, magazines. For children, through all ages. Steam-bent ash, finished with oil. 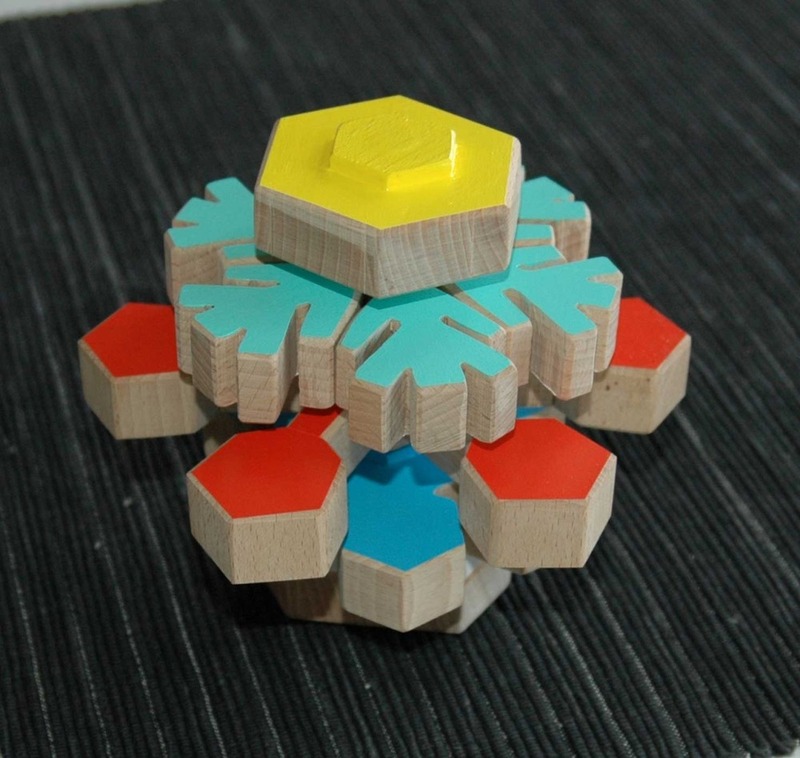 A wooden toy for all ages and seasons. 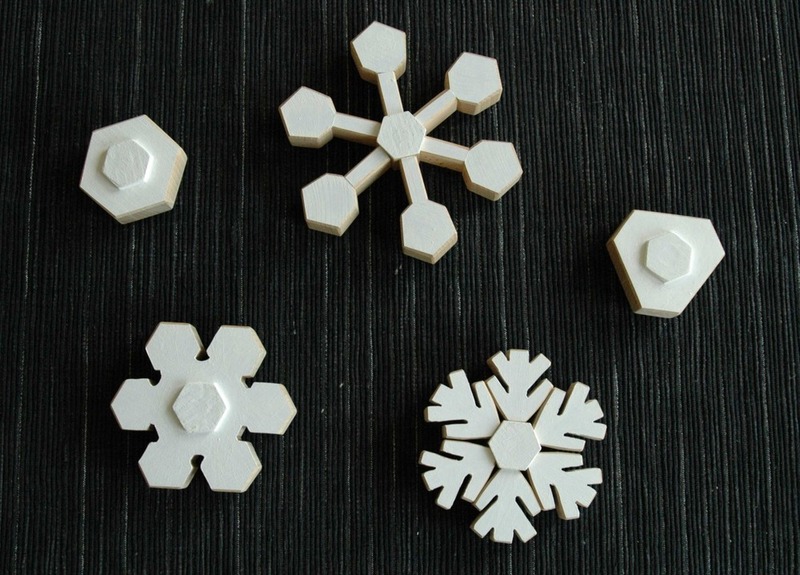 Stylized snowflakes with hidden magnets, together they make a snowball. 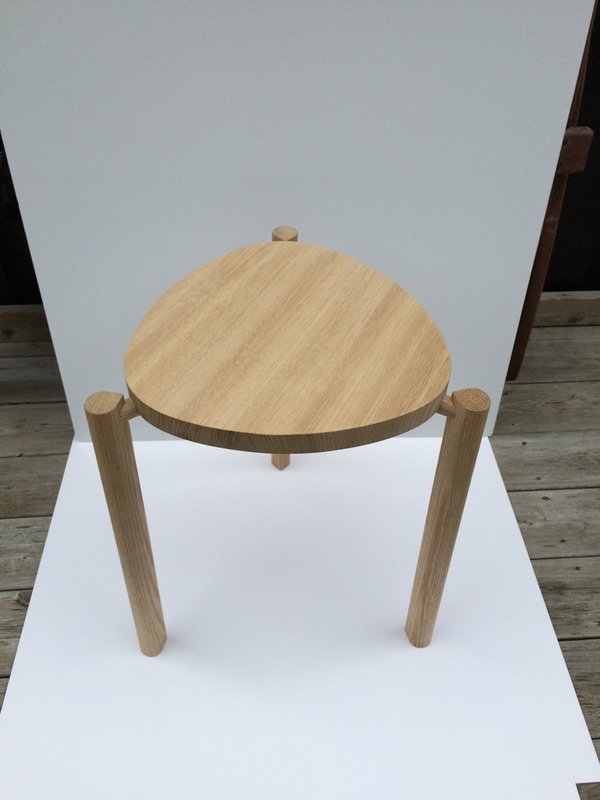 An entry for a stool competition. 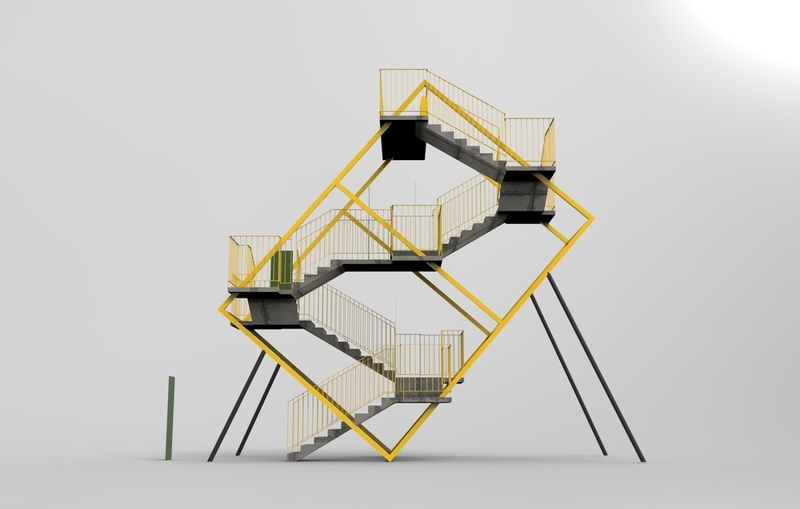 Stackable, delivered untreated in flatpack. School project during my MFA. The brief was to create a space that measures 7x5x3 m and explore how light and scale affects the spatial experience. 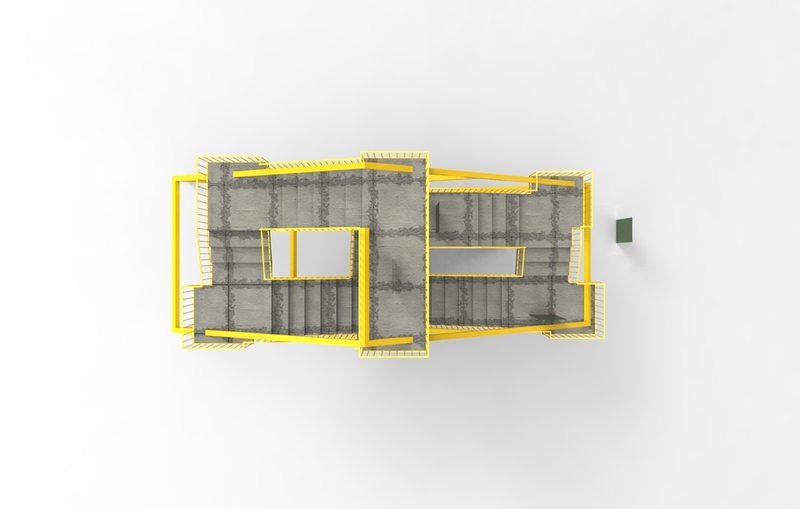 I created a lookout tower where the visitor explores the space in 3 dimensions.